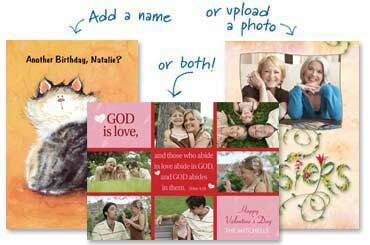 Discover a new way to personalize and send greeting cards! Create your card just the way you want it and we can either mail it for you or send it to you – it’s that easy! We understand how important your relationships are. And we know that when someone receives just the right card, it makes their day! And with Leanin’ Tree’s Sending Service you can send the perfect greeting card to anyone, anytime, from anywhere. Who could you send a card to right now? Make their day special with a special card from Leanin’ Tree. Create a personalized card people will remember!